If you’re a collector of crockery like we are, you’ll be thrilled with this awesome find. The Crockery Hut, a bespoke crockery store, has a beautiful collection of dinnerware and tableware, each with a story behind it. With products that come from all over the world, their collection is diverse and unique. The owner was inspired by her mother’s impeccable collection of crockery which she’d seen as a child and also the four cities that she grew up in – the colours and bohemian vibes of Mumbai, the timeless charm of Antwerp, the modern multiculturalism of London and the eclectic energy of Hong Kong. The brand distils the mood of these cities into a capsule that represents their love for travel. Really, this shop is a paradise for those who love decorating their homes or even stock up for a fancy soiree. Perfectly matched tableware is as important as cat videos to us, so when we discovered that The Crockery Hut does just that, we had to check it out. And sure enough, there was more than enough to keep us entertained for a while. 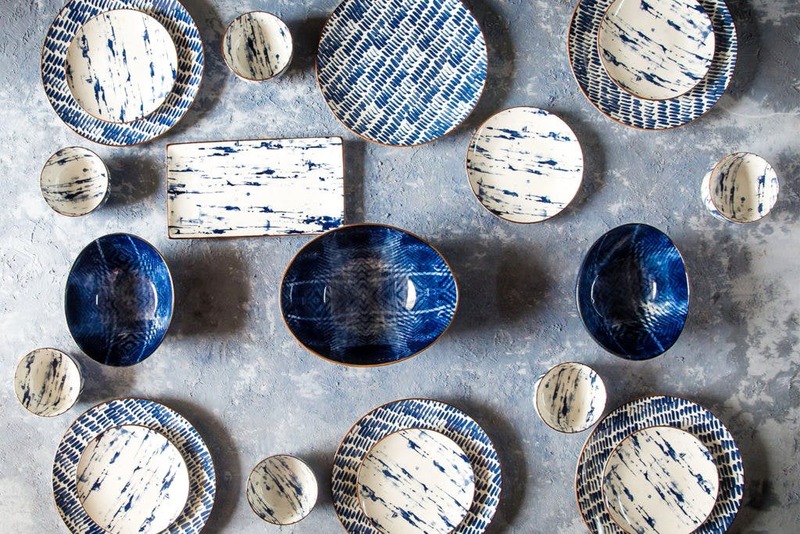 The Crockery Hut has just launched a new range of dinner sets called ‘The Sky Meets The Sea’, with tones of blues and whites, which has soup bowls, dinner plates, side plates, serving bowls and even platter plates. You can purchase these gorgeous beauties (22 pieces) for INR 17, 500. We love their entire collection because the quality of their products is par excellence and with a range this good, it’s sure to add that dash of colour to your homes. Add some brightness to your table with their lovely dinnerware and who knows, you could plan a great evening or enjoy a celebration with some priceless crockery!